Remember that last time you posted a picture on Facebook and it automatically offered to tag other people on the photo? Nothing unusual. You've tagged these people before, right? You've trained the machine learning face-recognition algorithm. 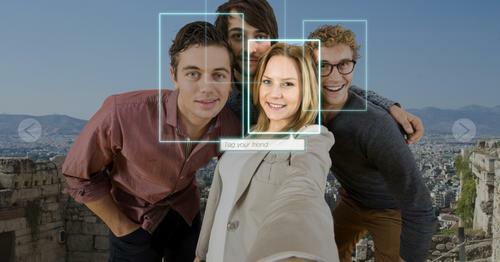 And now Facebook can spot where they are on your picture. Now, even if you refuse to tag anyone, this doesn't mean Facebook never stores this information somewhere. Like, "person A is potentially present on picture B". Actually, I'm almost 100% sure they do store it. Hell, I would if I was them. I bet you already see where I'm going with this. Now imagine you take a selfie in a crowded place. Like an airport or a train station. There are some people walking on the background. Hundreds of them. Some of them facing the camera. Guess what - the Facebook's AI has just spotted them. Even you're extremely cautious, even if you never post anything on Facebook, even if you have "location services" disabled on your phone at all times etc. etc. Facebook still knows where you are. You can't stop other people from taking selfies in an airport. Now all these Jason Bourne movies don't look so ridiculous any more, do they? All the stupid scenes with people in a control room shouting "OK, we need to find this guy, quick, oh, there he is, Berlin Hauptbahnhof arrival hall just 20 minutes ago, send the asset!" or something like that. Every time you simply check Facebook without actually posting anything - the app generates a post draft for you, ever saw this? If you have a link or a picture saved into your clipboard, it even offers to attach that to you post. And of course, it has your location. Actually, I’m pretty sure it does since the app generates that “preview image” of the link stored in your clipboard (like, that nicely formatted headline with the cover image). UPDATE: a little privacy tip: use Facebook in mobile Safari, with an adblocker, and delete the iOS native app - helps a lot AND saves you from tons of ads and 3rd party cookie tracking. Not to mention the wonders it does for the battery. I’m sure there’s a similar solution for Android. On a desktop - use an extension like Disconnect to block 3rd party cookie tracking.